Nominations will be accepted from Oct. 1 to Nov. 15 for the 2018 Commodore Award, Vanderbilt’s highest staff honor. The annual award recognizes staff members who have made significant contributions to Vanderbilt University’s pursuit of excellence in education, research and community service each year. 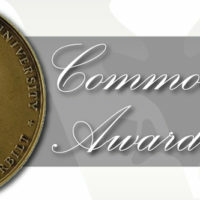 To nominate someone for the Commodore Award, faculty or staff should reach out to their division or department head. 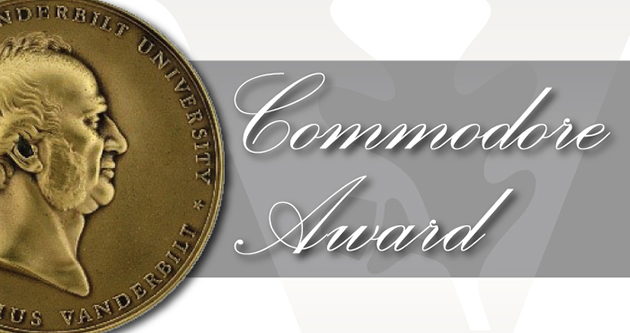 Nominations for the Commodore Award will be accepted between Oct. 1 and Nov 15. Regular full-time staff members holding positions below the director or department head level with at least five years of consecutive Vanderbilt University service may be nominated for the award. Previous recipients may not win a second time.